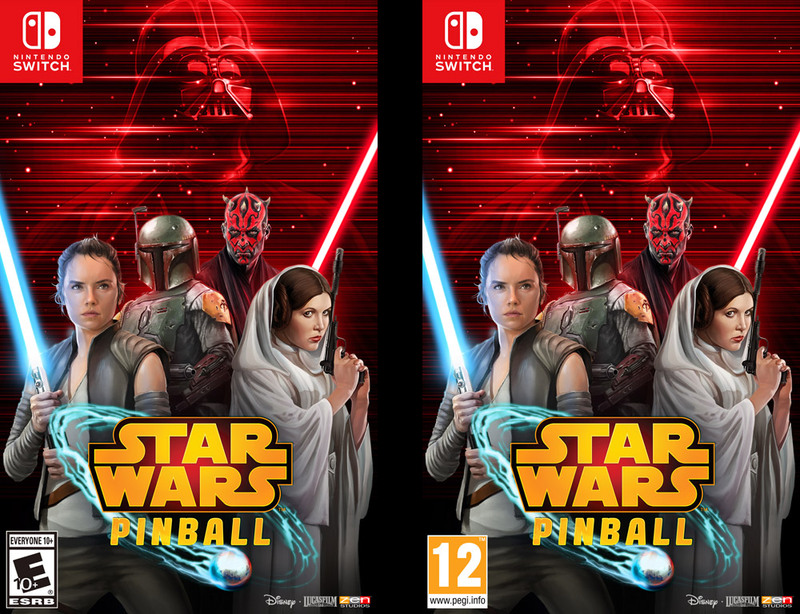 Star Wars Celebration starts today and we have some huge news to kick off the Zen Studios presence at the show - Star Wars Pinball is coming to the Nintendo Switch this September! 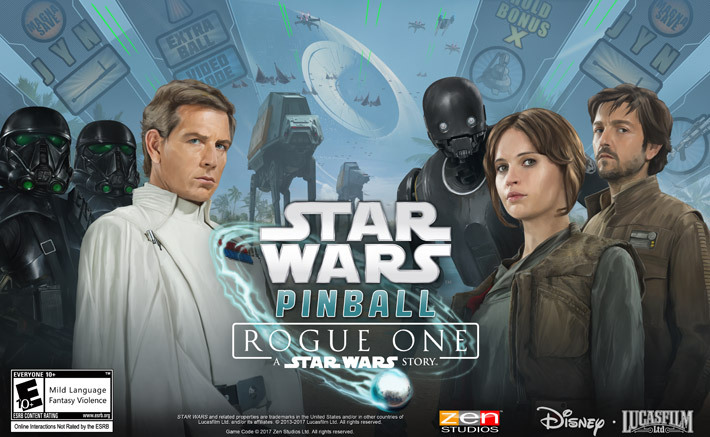 Come by the Zen Studios booth and be the first to try out the game! Dead Flip will be joining us for 2 onlocation livestreams so make sure to tune in for some Star Wars Pinball action on Friday and Saturday! 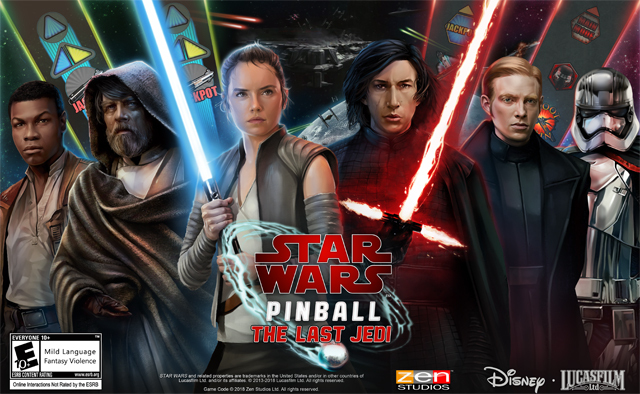 Star Wars™ Pinball: The Last Jedi is LIVE NOW on Pinball FX3 for PlayStation 4, Xbox One, Steam and Windows 10, as well as iOS, Mac and Google Play through the Zen Pinball app. 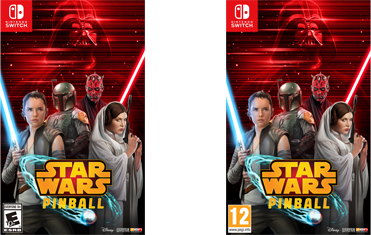 This Star Wars Pinball two-pack includes one table based on The Last Jedi’s plot and another more focused on Luke Skywalker’s hideaway, Ahch-To Island.. 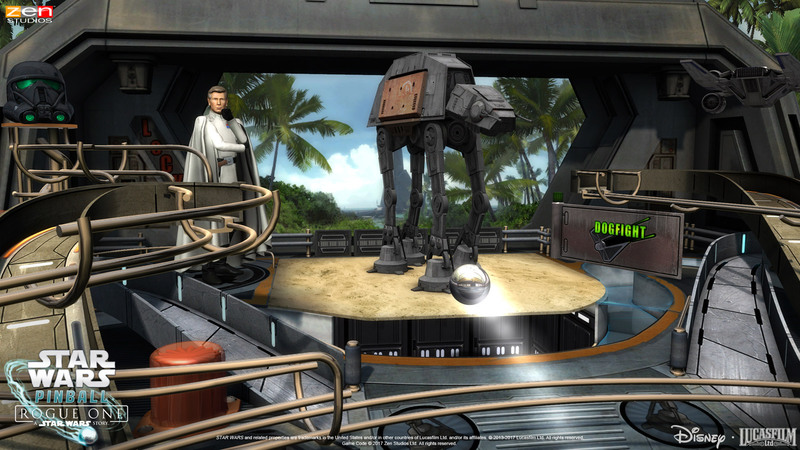 Check out the trailer below to view these beautifully crafted tables in action! 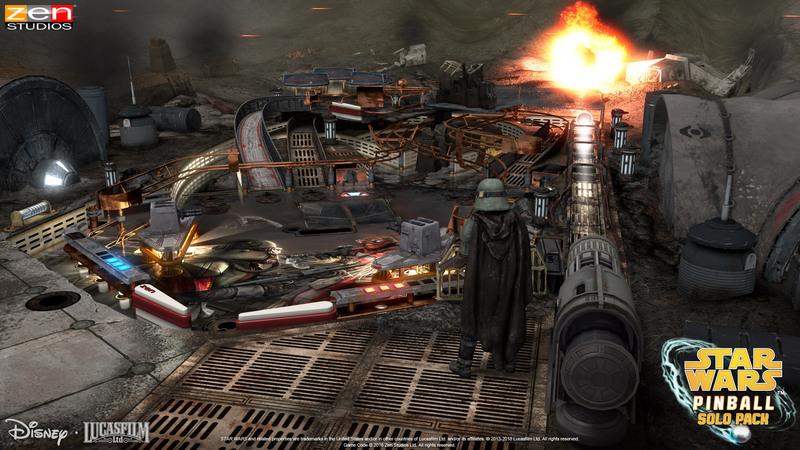 Star Wars: The Last Jedi – Survive a First Order onslaught as the Resistance, train Rey in the ways of the Force on Ahch-To, and defend Finn from Captain Phasma, blasting away at stormtroopers as BB-8. 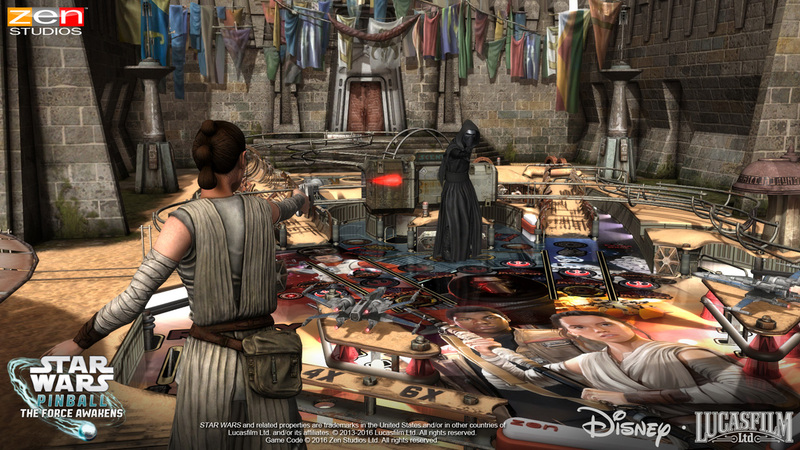 Jump a ramp to shoot down TIE fighters, fight off Kylo Ren's TIE Silencer, and teach Rey that the Force isn’t just moving rocks! 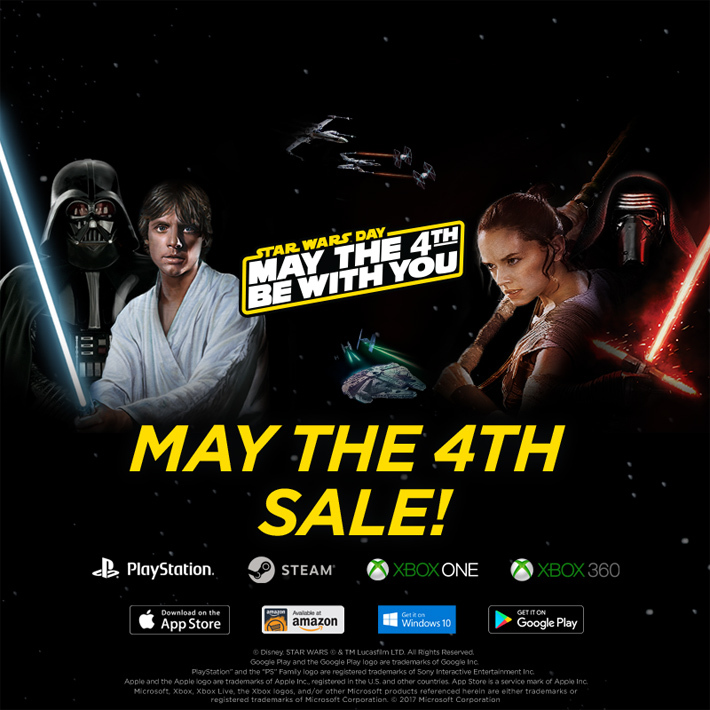 Xbox One, Xbox 360, PlayStation 4, PlayStation3, PS Vita, Steam, Win 10, Amazon, iOS, and Android. 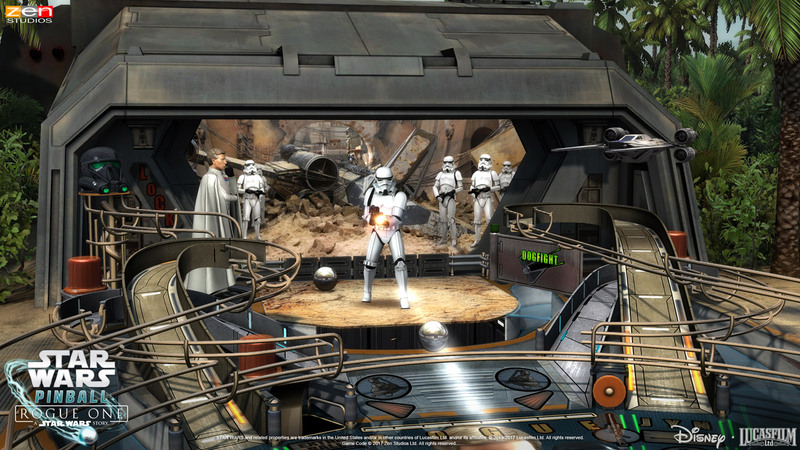 For a limited time, Star Wars Pinball is FREE to download on iOS and Google Play! 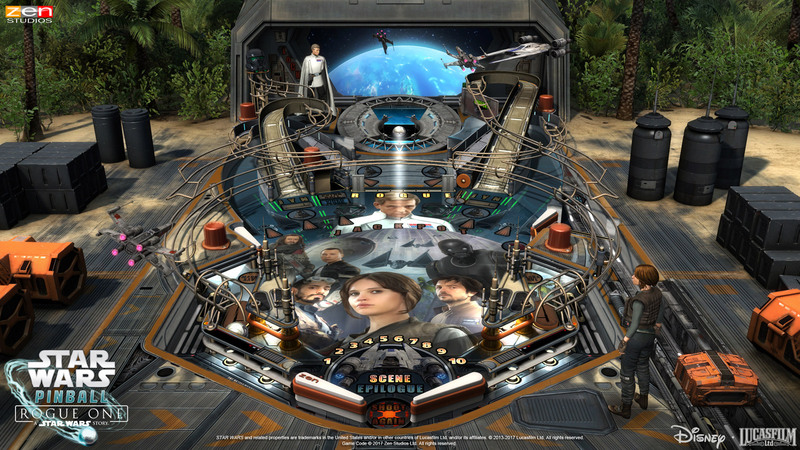 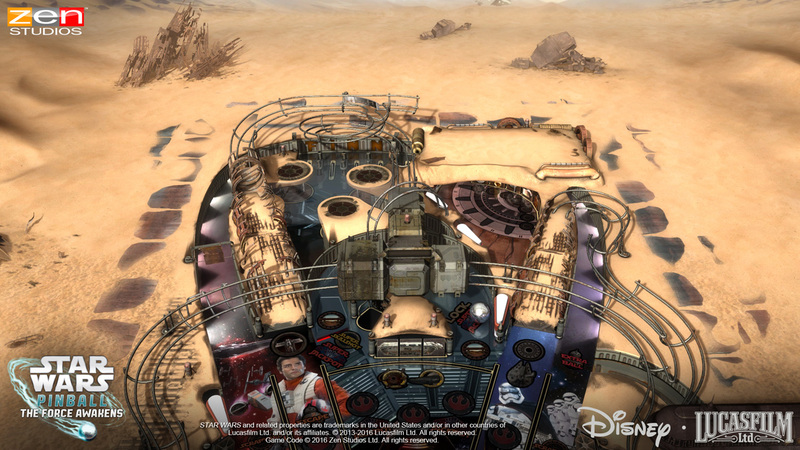 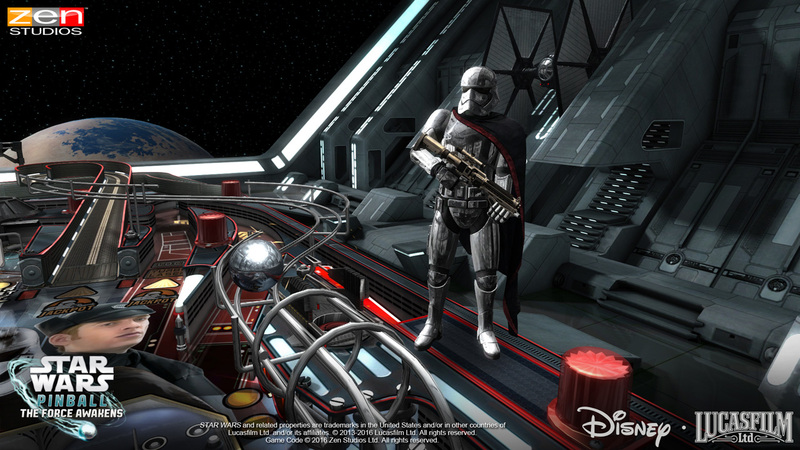 Get the Star Wars™ Pinball: Episode V table for free when you download. 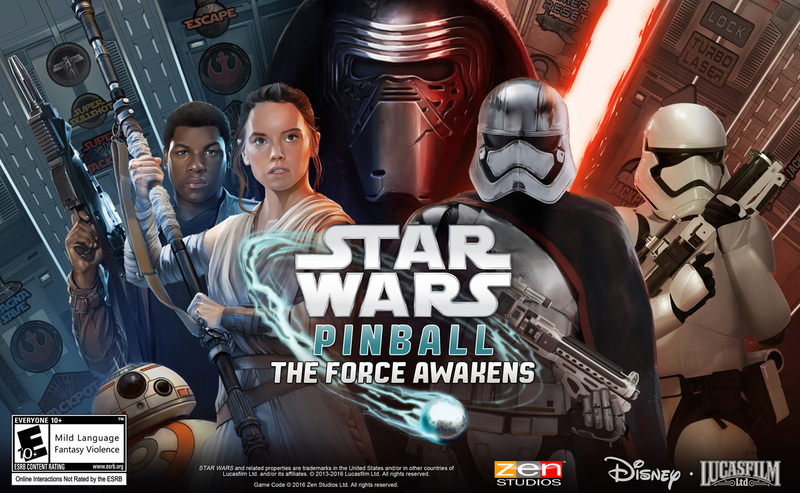 Don’t miss this chance to add to your pinball collection and May the Fourth Be with You! 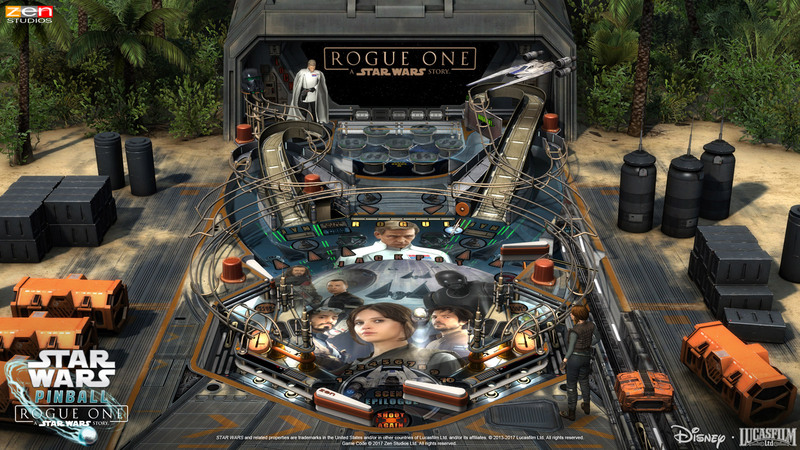 Star Wars™ Pinball: Rogue One™ – Now Available! 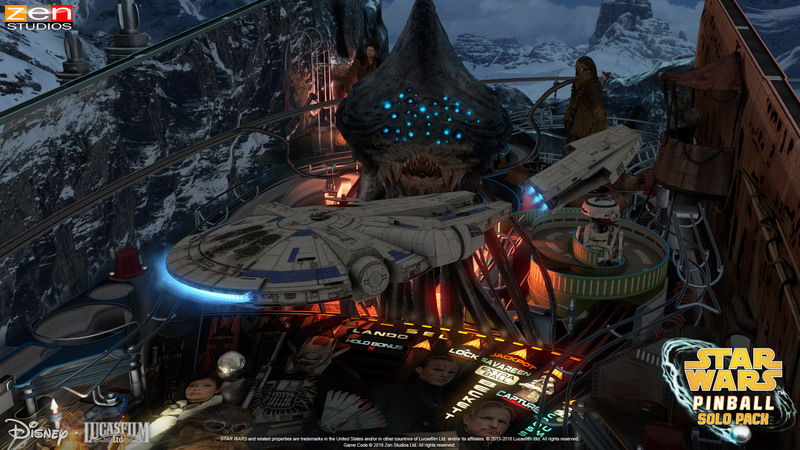 Windows 10, Steam, PSN North America, PSN Europe, and Mac. 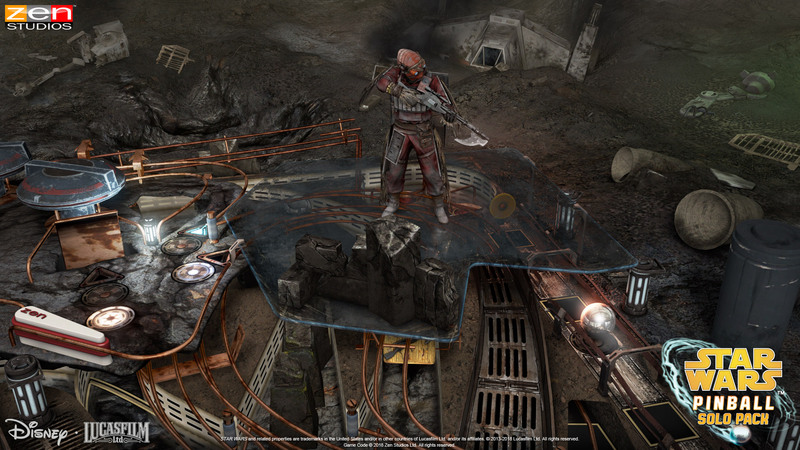 The table will also be released on iOS, Google Play and Amazon on February 2nd. 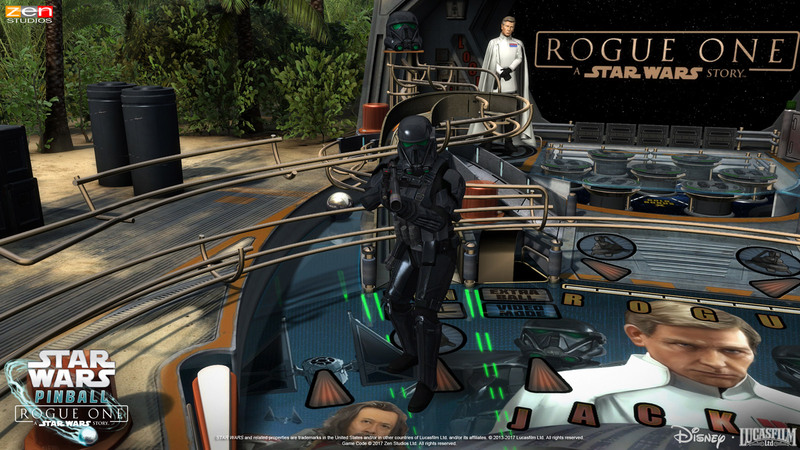 Xbox players, please be sure to purchase on Xbox 360 first, then import to Xbox One to enjoy on both systems. 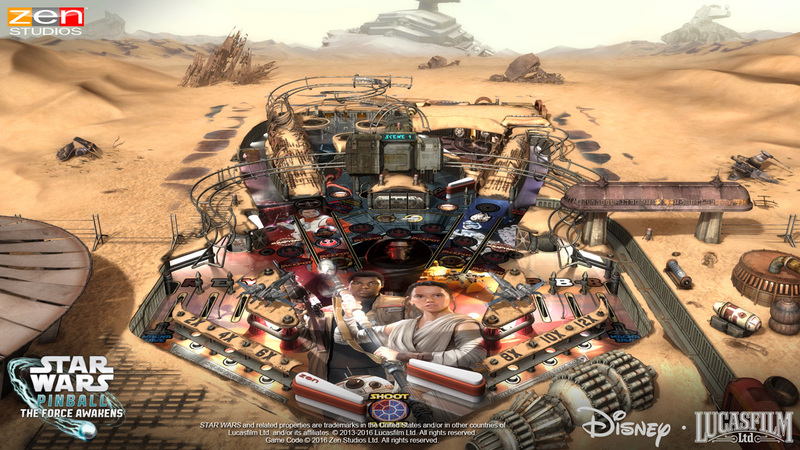 The Star Wars™ Pinball: The Force Awakens™ Pack is launching across our pinball platforms this week, and to celebrate we are revealing the second and third trailers for the pack, highlighting the action of each table, Star Wars™ Pinball: The Force Awakens™ Table and Star Wars™ Pinball: Might of the First Order. 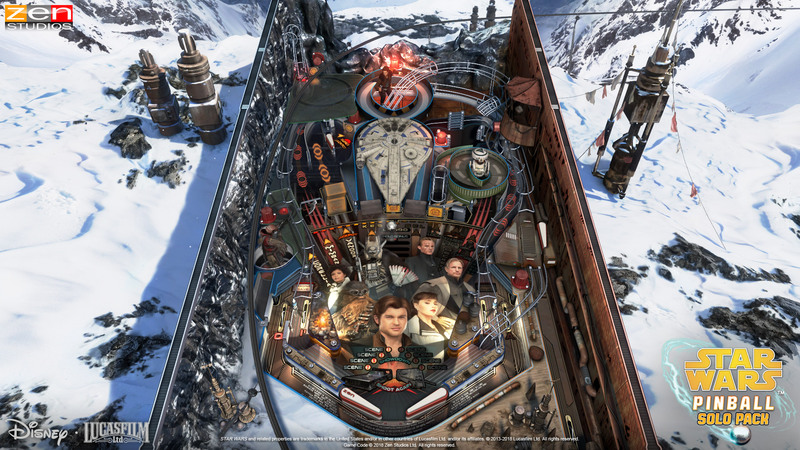 The Star Wars Pinball: The Force Awakens Table will team players up with Resistance members Rey, Finn, Poe, General Leia and Han Solo as they fight to stop the First Order’s expansion through twelve thrilling game modes inspired by the film. 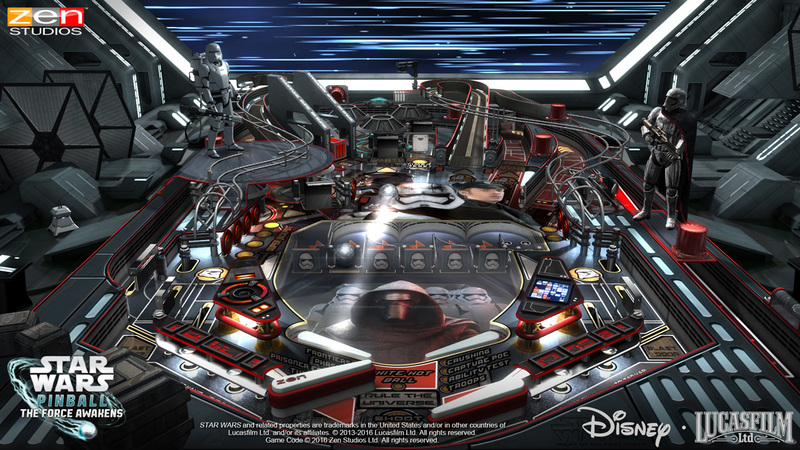 Joining Star Wars Pinball: The Force Awakens Table in the Star Wars Pinball: The Force Awakens Pack, is the Star Wars Pinball: Might of the First Order table. 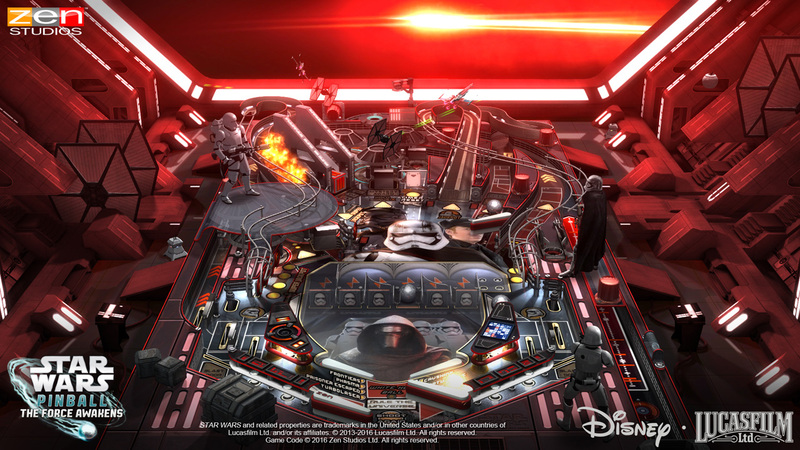 This table tasks players with extending the First Order’s power across the galaxy, and features a two-level playfield where you must use the special ball-lock system on Kylo Ren's playfield to crush the Resistance and control a Star Destroyer! 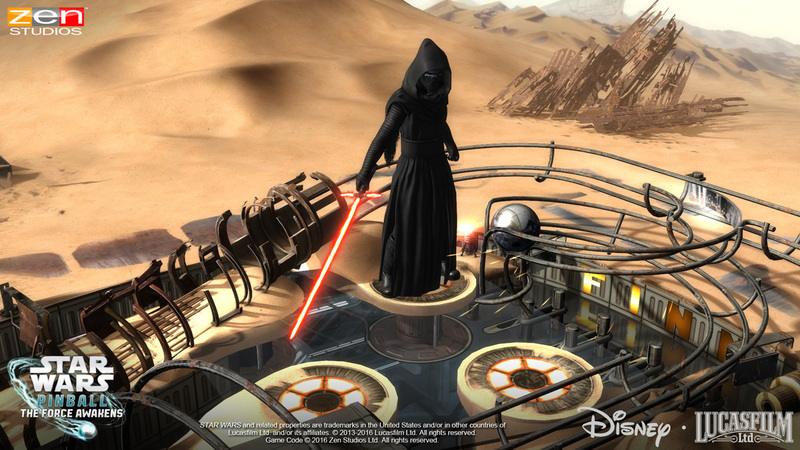 Star Wars™: The Force Awakens movie. 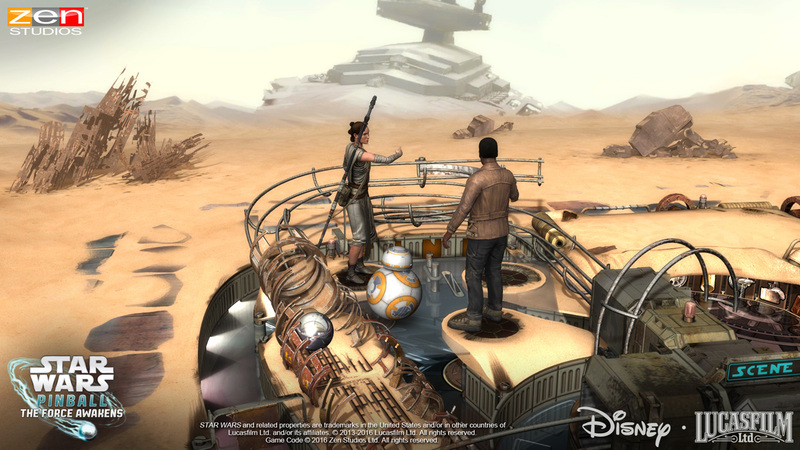 Players will team up with the Resistance and fight against the First Order alongside such heroes as Rey, Finn, and Poe Dameron. 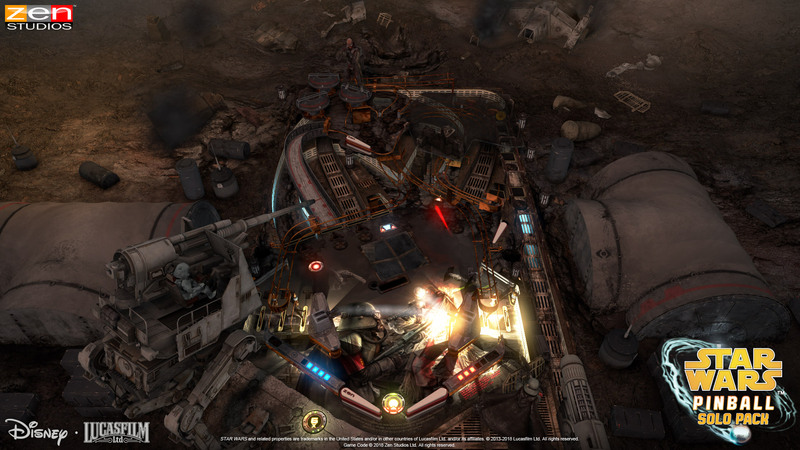 It features all-new table-transforming environment mechanics that allow you to visit locations from the film and twelve action-packed story modes taking you through its most thrilling moments. 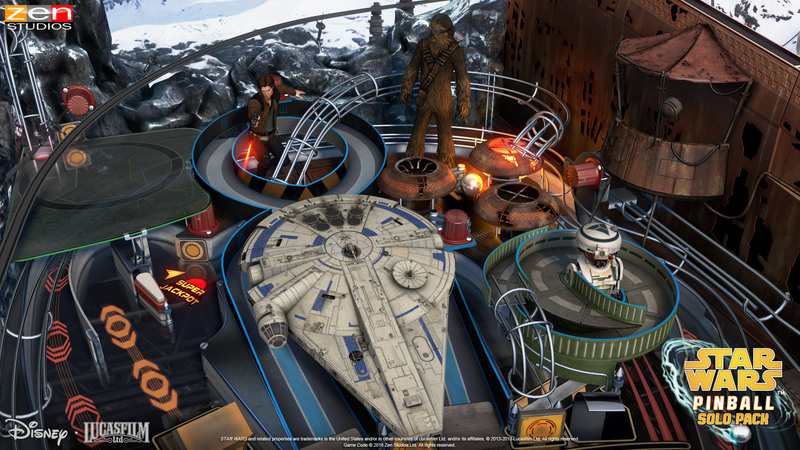 Star Wars™ Pinball: The Force Awakens Table is an intergalactic adventure that no Star Wars Pinball fan will want to miss! 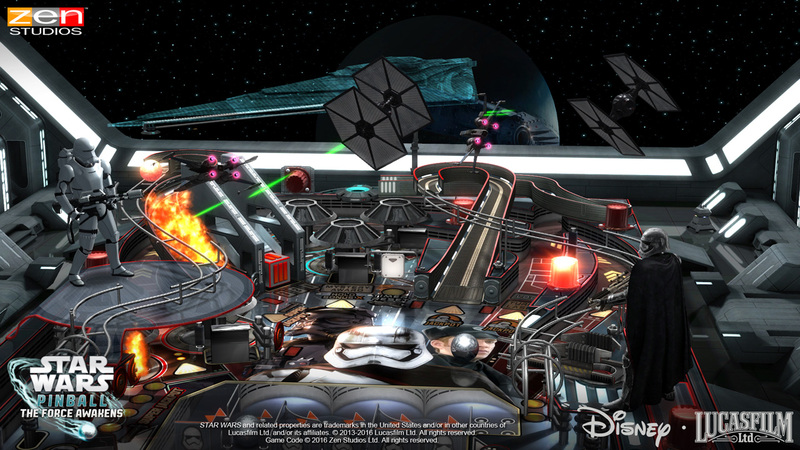 Star Wars™ Pinball: Might of the First Order features an innovative two-level playfield where you must use the special ball-lock system on Kylo Ren's playfield to crush the Resistance, as well as the ability to control your own Star Destroyer with the help of a special magnetic upside-down ramp! 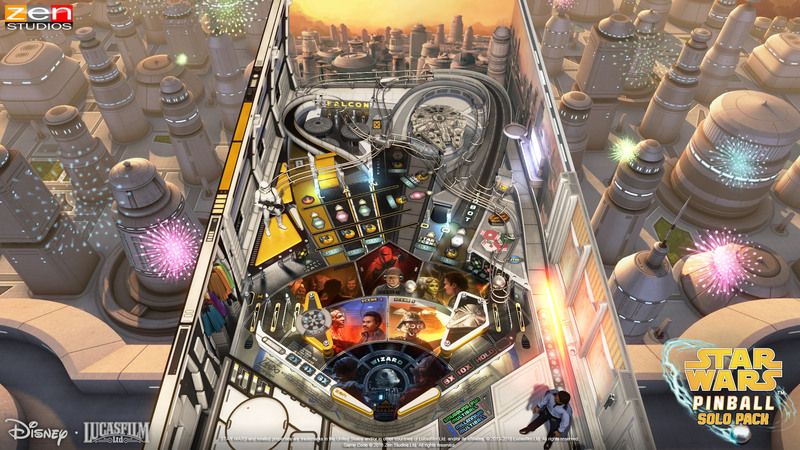 We are so thrilled to be working on, not one, but two pinball tables based on one of the most important movies of all time. 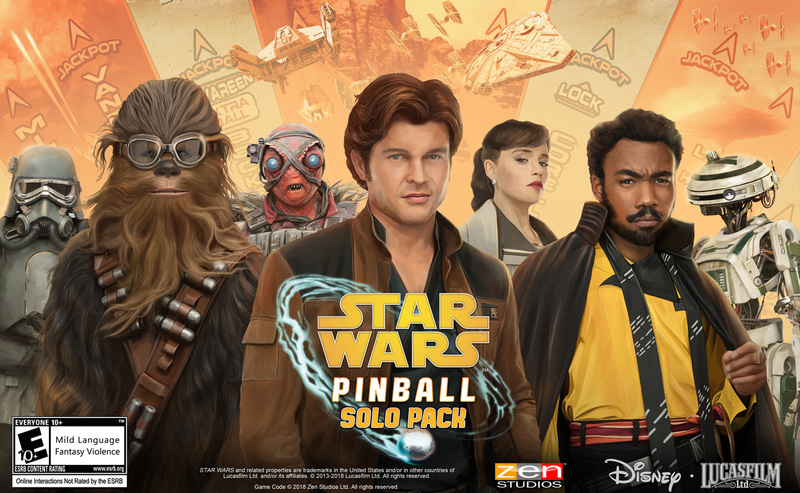 Being part of the continuation of the beloved Star Wars saga is something we've all dreamed of and we are so honored to have this opportunity. Without the support of you, the player, we could not have made this possible, so thank you for your support of Star Wars Pinball. 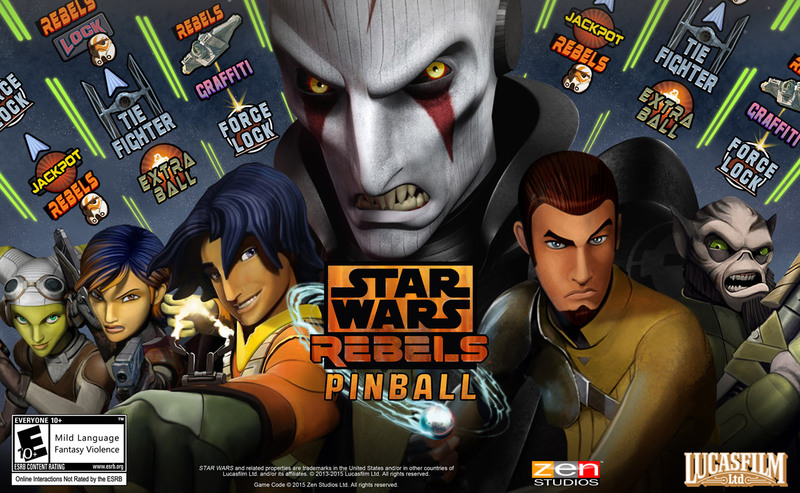 We’re astronomically overjoyed to reveal our next pinball table, Star Wars™ Pinball: Star Wars Rebels™, based on the critically acclaimed animated TV show on Disney XD, Star Wars Rebels™. 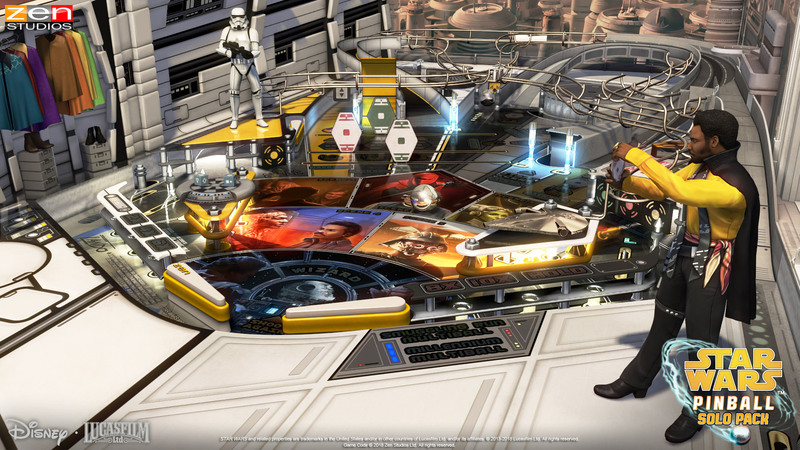 We know you’ve all been anxious to see if we would continue working with Lucasfilm to create new Star Wars™ pinball tables, and we are excited to say that we are doing just that! 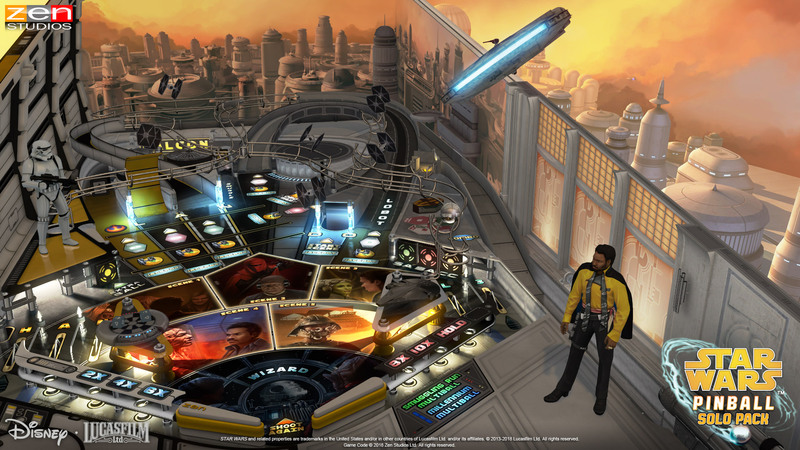 This new table is set during a time period never explored in the films, so we’re happy to be able to bring our own blend of pinball magic to this new phase of the Star Wars universe. 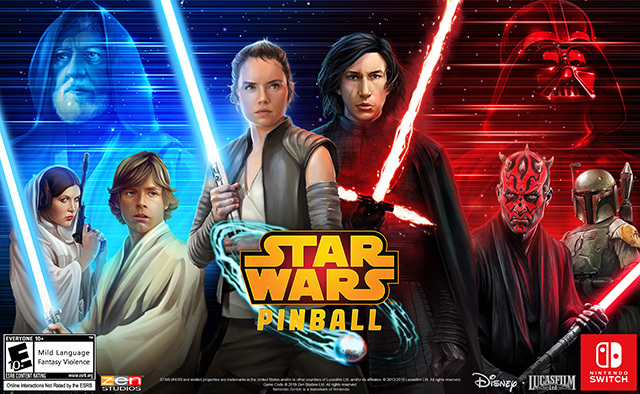 The table will be available across many of our pinball platforms, including Pinball FX2, Zen Pinball 2, and Star Wars™ Pinball, on console, PC, and mobile during the week of April 27, 2015, just in time for May the Fourth celebrations! 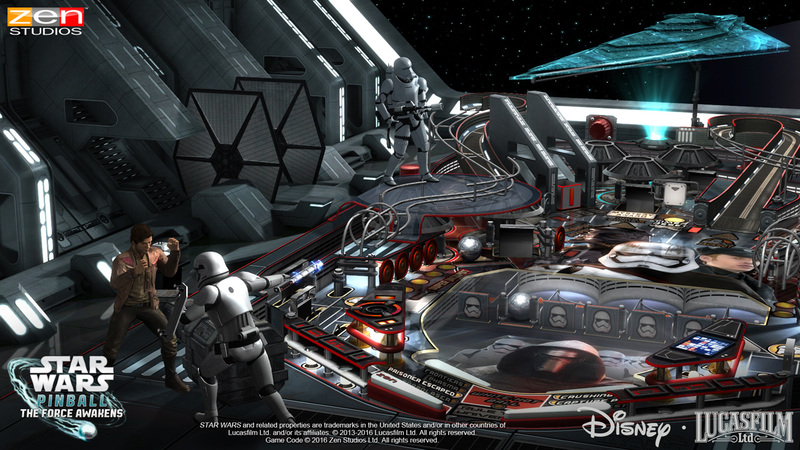 Stay tuned for specific release dates and pricing information. 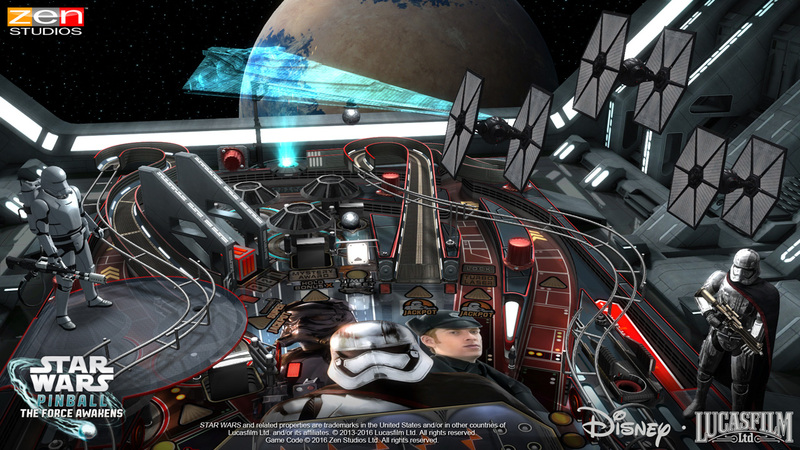 May the Force™ be with you. 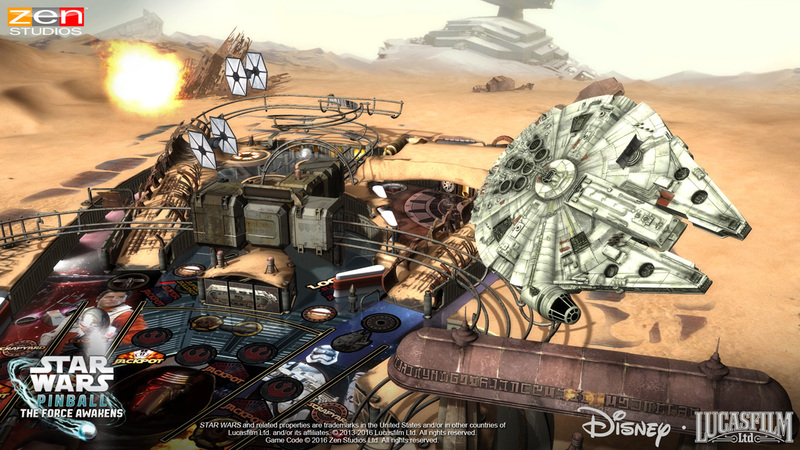 Lucasfilm Ltd. and/or its affiliates. 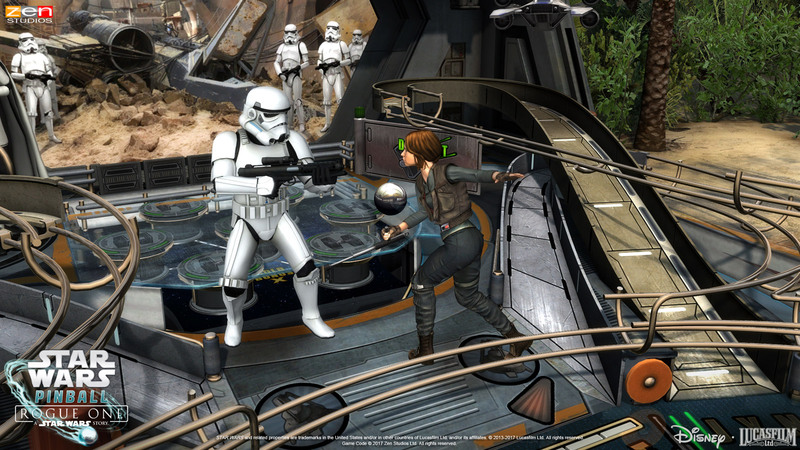 © 2013-2019 Lucasfilm Ltd. All rights reserved.